Tonight, for the first time in six weeks, Chris Sale did not appear to be a hyper-effective strikeout-generating android. Instead, he simply seemed like your ordinarily effective strikeout-generating cyborg. That’s all to say that after eight straight games of 10 strikeouts or more, he finally faltered—with, uh, six strikeouts as part of his seven-inning win over the Rangers and their collapsing bullpen. Really faltering there. 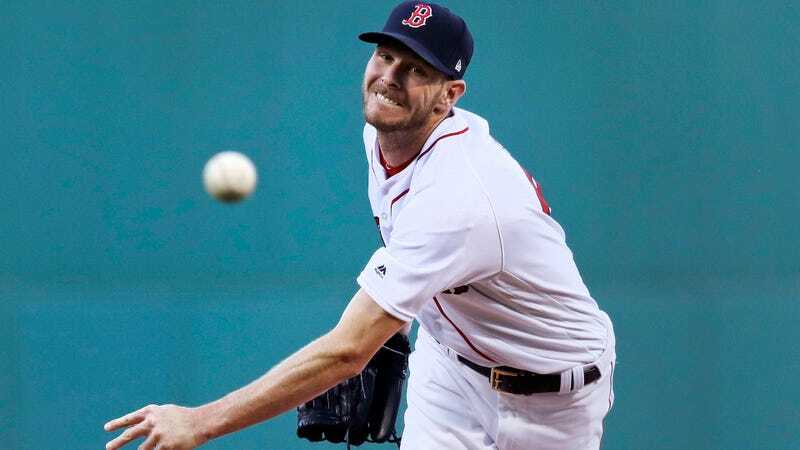 Sale lost out on the chance to make history, as he would have been the first pitcher ever to extend a double-digit strikeout streak to nine games in one season. Knowing him, however, he’ll probably go ahead and make that happen in his next nine.